Some of you may have noticed that Amazon.com (the U.S. site) is now accepting pre-orders for AN ECHO IN THE BONE, with a projected publication date of September 29, 2009. Before you start getting too excited, let me offer a few words of caution. 2) When she was asked about the Amazon date on Compuserve, Diana's verbatim reply was "SOP for Amazon. <rolling eyes>". (SOP = Standard Operating Procedure.) In other words, the information posted on Amazon shouldn't be trusted as accurate. I'm sure that we will hear the exact date from Diana herself, on Compuserve and/or via her blog or website, just as soon as she and the publisher are ready to announce it. And I will certainly post any updates here if I hear anything. Until then, go ahead and pre-order it if you want, just be aware that the date may change. 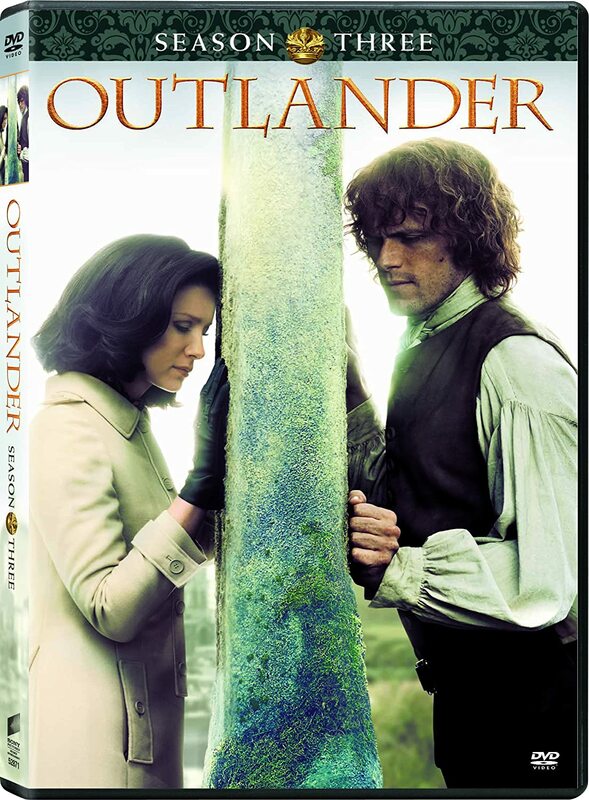 I think I've mentioned this here before, but as long as we're talking about pre-orders and release dates....The OUTLANDER graphic novel (still untitled), which we were hoping would be released in the summer of 2009, has been delayed until early 2010 in order to give the artist, Hoang Nguyen, time to finish the artwork. "It'll be out (we think) in early 2010; the script is done, but the artwork is complex and there's a lot of it (think an average of four panels--each of which is a detailed painting--times 192 pages); so far, Hoang's up to about page 75, I think." Again, if I hear anything more definite than that, I will post it here. 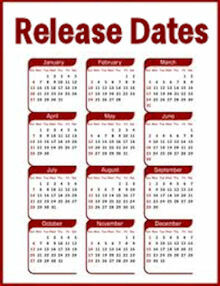 If you're interested, the discussion on Compuserve about release dates is here. We had four inches of snow here in Raleigh, NC, on Tuesday. That's the biggest snowfall we've had here in more than four years, and we've all been enjoying the novelty of it. It doesn't snow where I live nearly as often as it does in the mountains of western North Carolina, where Fraser's Ridge is supposed to be located. But I always enjoy the descriptions of winter scenes in the OUTLANDER books. It was hard going through the snow. Less than a foot deep, the treacherous white stuff hid rocks, holes, and other obstacles, making footing for the horses slippery and dangerous. Clods of snow and mud flew up with each step, spattering bellies and hocks, and clouds of horse-breath vanished steaming into the frozen air. The winter held off for some time, but snow began to fall in the night on November 28, and we woke to find the world transformed. Every needle on the great blue spruce behind the cabin was frosted, and ragged fringes of ice dripped from the tangle of wild raspberry canes. The snow wasn't deep, but its coming changed the shape of daily life. I no longer foraged during the day, save for short trips to the stream for water, and for lingering bits of green cress salvaged from the icy slush along the banks. Jamie and Ian ceased their work of log felling and field clearing, and turned to roof shingling. The winter drew in on us, and we in turn withdrew from the cold, turning inward. And finally, here's a quote from the day the house on the Ridge was supposed to burn down. I just love the imagery in this paragraph. January 21 was the coldest day of the year. Snow had fallen a few days before, but now the air was like cut crystal, the dawn sky so pale it looked white, and the packed snow chirped like crickets under our boots. Snow, snow-shrouded trees, the icicles that hung from the eaves of the house--the whole world seemed blue with cold. Now that we're more than halfway through January, though, it occurred to me that I don't really have a good idea for a February poll. 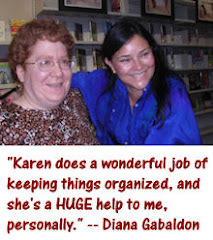 So if anyone out there has a suggestion or two for what you'd like to see as a future "OUTLANDER poll of the month" topic, please post here, or email me at karen.l.henry@gmail.com. The other day I stumbled across a site that explains how to turn a standard 2-column Blogger template into a 3-column template. So I thought I'd give it a try. The old format was starting to look rather cluttered. What do you think of the new look? If you have problems viewing it this way, please let me know. So, if you found my blog through Entrecard, welcome! And if you are an Entrecard user and you find my blog interesting or useful to you, please leave a comment here. The Virtual Dime Museum - Focuses mainly on the Victorian era. Updated frequently. The Museum of Questionable Medical Devices - You only have to watch infomercials on TV to realize that "quackery" is not something limited to prior centuries. <g> Some of the items displayed on this site are pretty funny. If you enjoy (and are occasionally appalled by) the descriptions of 18th-century medicine in the OUTLANDER books, I think you'll appreciate this. The 1897 Sears Roebuck Catalog - I have a copy of this book (reprinted in the 1960's) and I love to look through it, especially for the descriptions of patent medicines (advertising cures for just about anything you can imagine) and the pictures of clothing for all ages. What about the rest of you? What's your favorite bit of historical trivia from the OUTLANDER books? Do you have a site you would recommend for people who like to read about this sort of thing? As always, I'm interested to hear what you think. 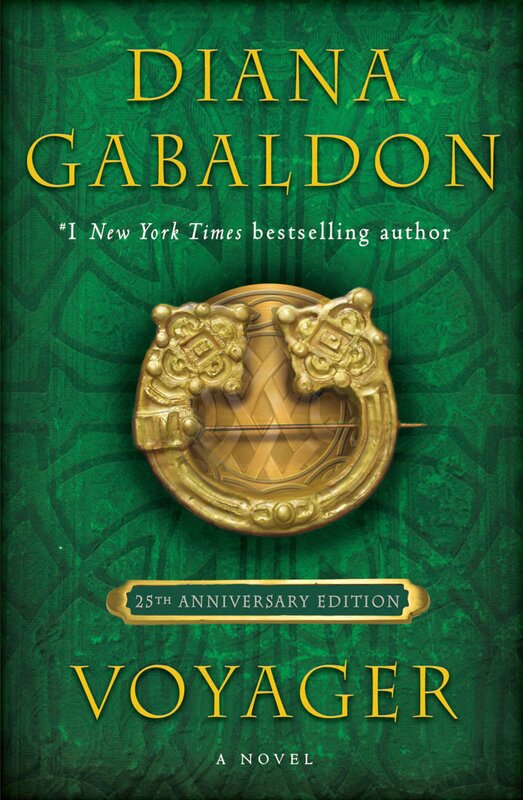 "The challenge is simple: to read or listen to (because audiobooks are a great format for these books) each of the six Outlander books in publication order prior to the release of An Echo in the Bone." Now that 2009 is here, and we are all eagerly anticipating the release of AN ECHO IN THE BONE, it's time to think about starting a re-read (or re-listen, if you're like me and you prefer the unabridged audio versions). If you start now, there's probably enough time to get through all six OUTLANDER books, and possibly the Lord John books as well. So....are you up for the challenge? I definitely am. I'm in the middle of ABOSAA at the moment myself, will probably listen to one or more of the Lord John books after that, just for a bit of a break, then I'll start over with OUTLANDER. I'm going verrrrry slooooowwly this time around, but I'm going to try to time the next go-round so that I'm done with ABOSAA sometime around the time ECHO comes out. And that's the tricky part, isn't it? We don't yet know ECHO's exact publication date. Diana keeps saying that it will be sometime in the fall of 2009, but keep in mind that she's still WRITING the book. <g> Last I heard, she's hoping to be done by mid-February, if she can manage to write 90,000 words (!) in the month of January. I will, of course, post here if I hear anything from her on Compuserve about a possible publication date. "You will want the skins," [Eats Turtles] said. "To wrap your son, when he shall be born." A shock went through Ian, like the shock of sudden rain on bare skin. Eats Turtles saw his face, and turned his head aside, avoiding his eyes. "This child was a daughter," Turtle said matter-of-factly. "Tewaktenyonh told my wife, when she came for a rabbit skin to wrap the body." UPDATE 1/9/09 1:34 pm: Here is another reading challenge I found online that some of you may be interested in. This one involves reading Big Books, so it won't be difficult for those of you who are already thinking about doing the OUTLANDER challenge described above. If you see any more of these challenges that you think people here would be interested in, please let me know. I was Bookwormed a couple of weeks ago by Jenny Graman Meyer, whom some of you may know from the Compuserve Books and Writers Forum. I've been procrastinating in my response to it, debating whether or not I was going to play along. Then I figured, why not? 1) Open the closest book -- not a favorite or most intellectual book -- but the book closest at the moment, to page 56. 2) Write out the fifth sentence, as well as two to five sentences following. 3) Tag five innocents (or more). Now, as far as I'm concerned, step 3 is optional. <g> If you want to spread this around to your friends, fine, but if you don't, that's OK with me, too. I'll start with a book I just finished reading last night: David Michaelis' SCHULZ AND PEANUTS, an excellent biography of Charles Schulz. Very interesting, entertaining, and well-written, with lots of sample cartoons thrown in to illustrate various points. Years later, he would remember his teacher's astonishment as she stood behind him, marveling that "Charles", alone among his classmates, had taught himself to evoke ice not as a glittering surface but as a solid mass. In seventh grade, he found another opportunity to shine when Miss Lynn, setting the class to draw editorial cartoons for social studies, praised his contribution, but for some reason--perhaps, he later thought, intending to submit the class's work to a newspaper--handed the drawing to another pupil for the lines to be inked in more darkly. Insulted to the core at her insensitive, misconceived improvement, he still did not let on. "It's too much! I can barely take care of myself!" "You should have called Mike or taken him to a kennel or something! Don't try to kill him!" "I didn't try to kill him," she whispered. He'd brought a loaded pistol upstairs with him; that was placed on the washstand by the window. The rifle and fowling piece too had been left loaded and primed, hanging from their hooks above the hearth downstairs. And, with a small ironic flourish, he drew the dirk from its belt sheath and slid it neatly under our pillow. "Sometimes I forget," I said a little wistfully, watching this. There had been a dirk under the pillow of our wedding couch--and under many a one since then. Anybody else want to play along? What are YOU reading? What's your favorite gift from the books? Please take a moment to vote in the new poll for January, which is all about the graphic novel. Wishing you all the best in 2009!